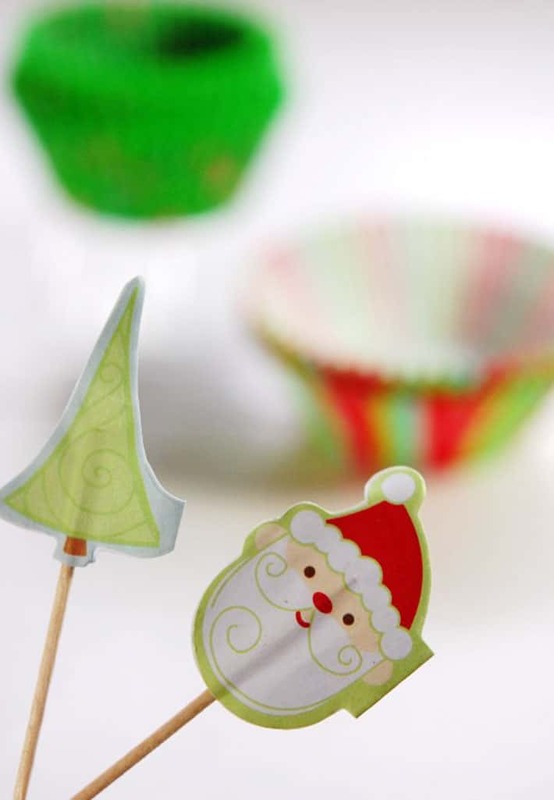 HOW TO MAKE CUPCAKE TREE ORNAMENTS. We like cupcakes. We like Christmas trees. So could you explain to me why we never thought to combine cupcakes with our Christmas Trees? It can be done. You can have an ENTIRE Christmas tree covered only in cupcakes this year. I know. Because I’ve done it. 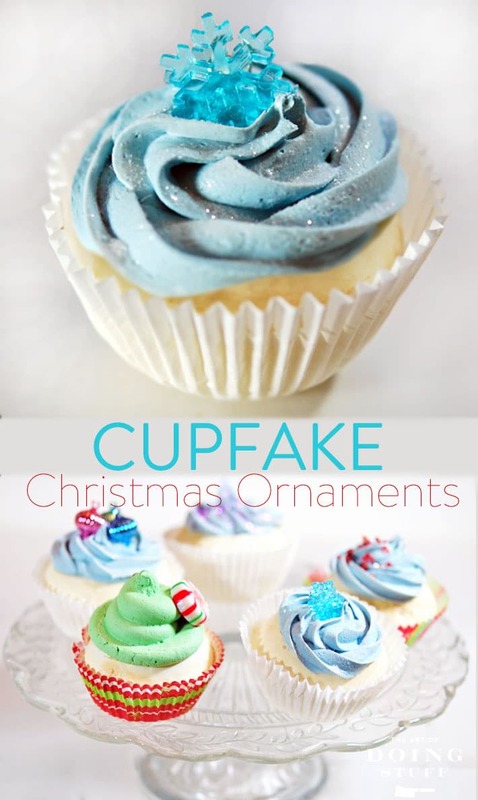 YOU can make Cupfakes for your Christmas tree this year and they’ll look GREAT. They’re totally made with some poisonous materials so don’t do this if you have either small children or a very stupid but much loved spouse in the house. You make the “cake” out of a can of Great Stuff expandable spray foam insulation. You make the “icing” out of a bucket of premixed drywall compound. 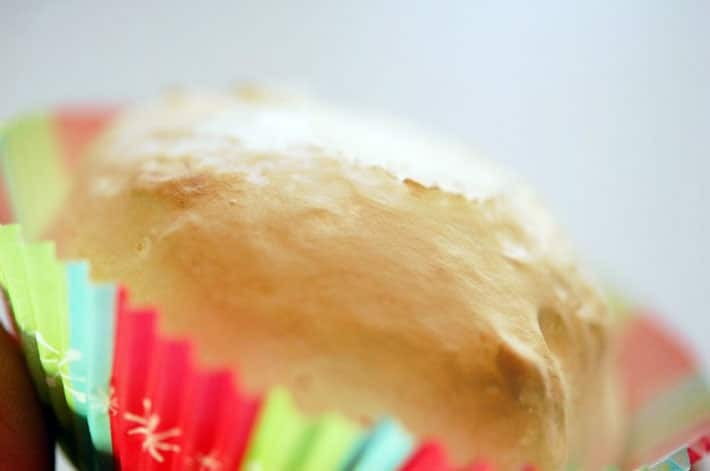 Using these 2 ingredients, some items from around the house, plus some do-dads for decoration you’ll have cupcake ornaments that will look like real cupcakes. But to reiterate you probably shouldn’t eat them. I don’t mean to tell you what to do, but if it were me … I wouldn’t eat them. What with them being made out of poison and plaster. This is incredibly easy to do but does take some time. 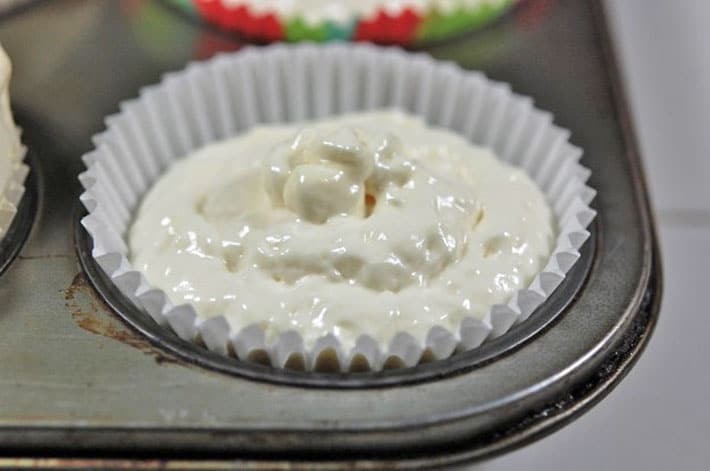 To make the cake portion of the cupcakes get your muffin tin and liners. 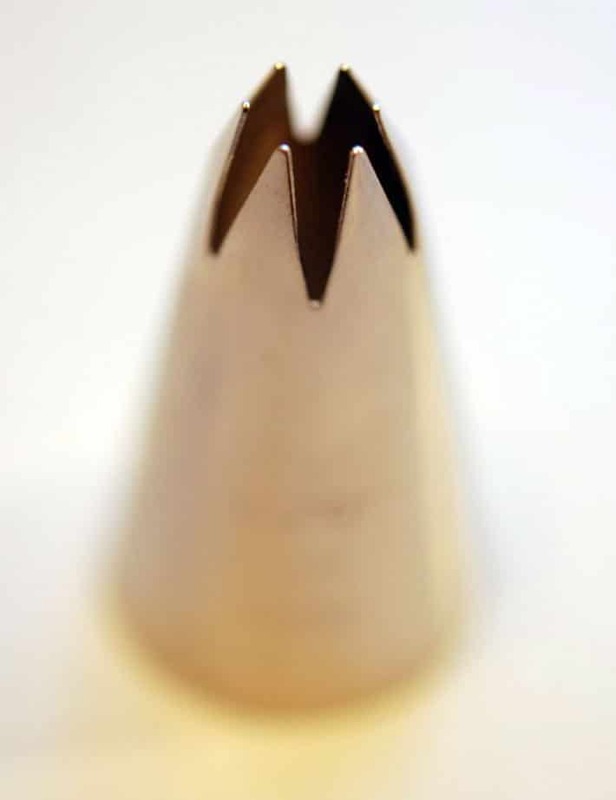 Some paper cups also come with these tooth pick thingees. You can save those to use in your ornaments or spear a cocktail wiener with them as you’re making your Cupfakes. 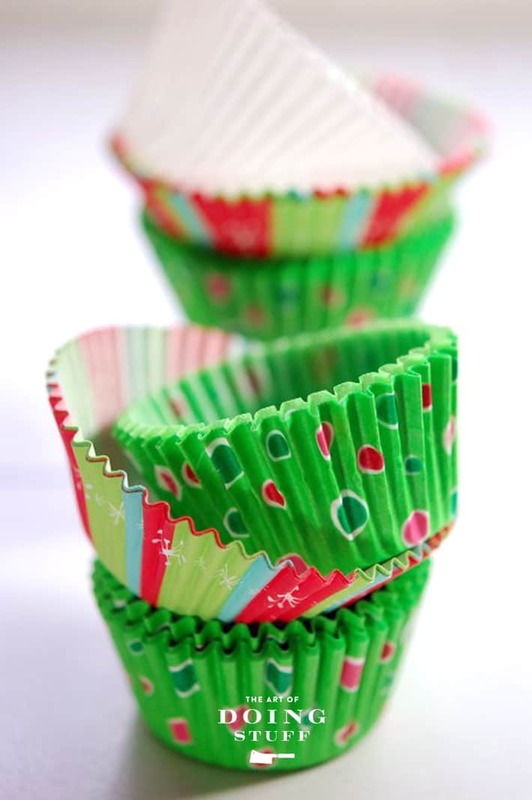 Line your muffin tins with the liners. I didn’t do this the first time I made these, but putting a heavy washer or pebbles into the liners before you fill them will help weigh them down so they don’t tip over later on. Fill the liners 3/4’s full with Great Stuff expandable foam. This much foam will make about 40 Cupfakes. See that cupcake with the green liner in the centre? It’s too full. You should only fill to 3/4s full. Move slowly because this Great Stuff is REALLY sticky and you don’t want to make mistakes. Also wear gloves. Did I mention you should wear surgical gloves? Also, it’s easiest to fill the cups if you spray the foam in circles. The reason I say to only fill the cups 3/4s of the way is because this stuff means it when it says it expands. This is how much the cup looks at 3/4s full. And another 10 minutes later. Let your foam set for a minimum of a couple of hours. I let mine set overnight. Once they’re set you can pull them out of the muffin pan and start to paint them if you want. When the foam dries, it’s completely white and shiny. You can leave them like that, or you can paint the cupcakes. I painted mine to make them look as though they were really baked vanilla cupcakes. To paint them just mix up a couple of brown and cream colours of acrylic folk art paint and swirl them together a bit. Then brush the paint right onto the Cupfake. It’s as simple as that. Just do a light, swishy coat so some of the colour beneath shows through. Then go over the Cupfake again, darkening any high points so it looks like they’re a bit more browned there. 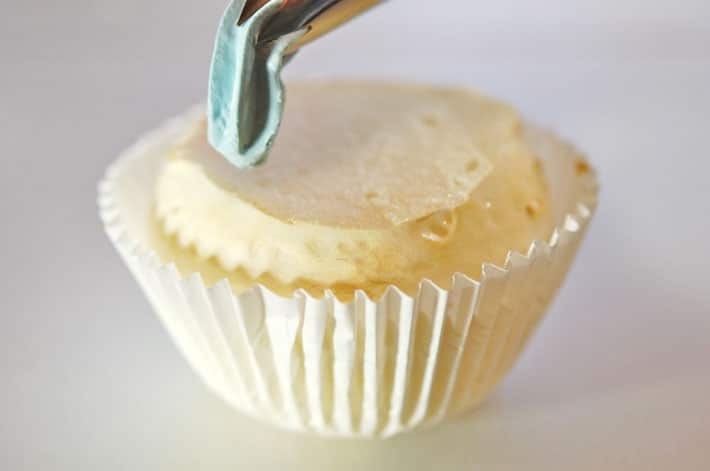 It’s a bit easier to “ice” your Cupfakes if you cut the top off of them because the compound will stick better to the porous surface of the cut foam. Plus, it’ll keep your Cupfakes a more manageable size. O.K. 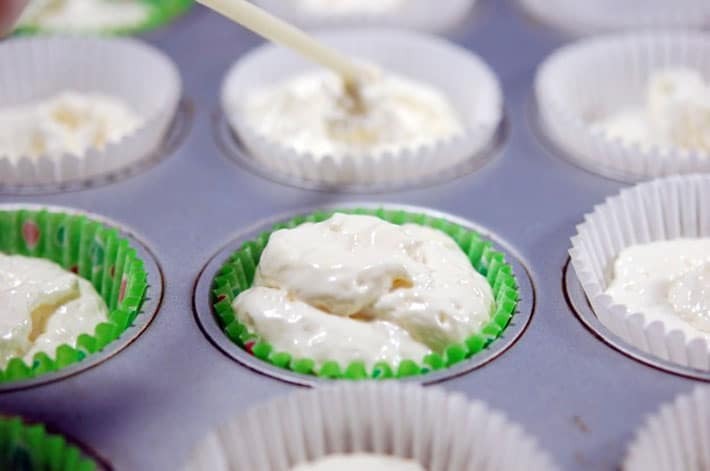 Now that your cupcakes are formed and painted you’re ready to move onto the final step. Throwing them at people. Wait, no. Icing and decorating them. 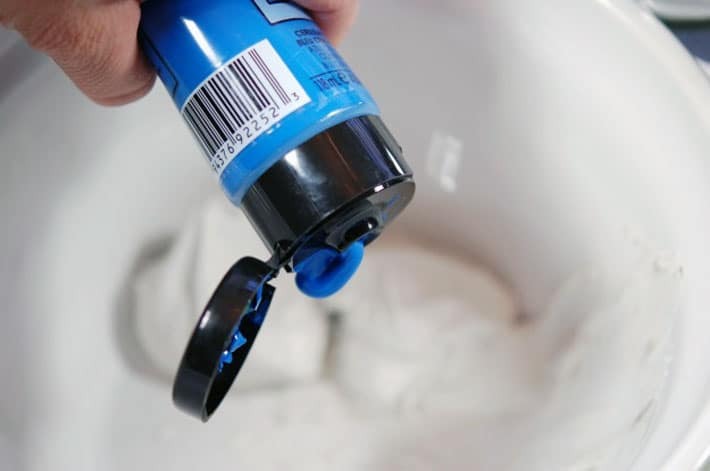 * Great Stuff is incredibly sticky and if you get it on your arm it will require scrubbing with hot, soapy water, drenching with acetone, a splash of Goo Gone, and another treatment with acetone. Finally, remove your arm with a hacksaw. In other words, be very careful with the Great Stuff. * Do not overfill your paper cups. 3/4s full and that’s all. 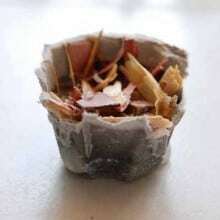 * Don’t attempt to pull them out of the muffin tins before they’re dry. * Keep plenty of paper towels handy. And by handy, I mean pre-ripped off of the roll, sitting right beside you. You’ll need them to wipe the goo off of the nozzle when it accumulates there. Tips may or may not be based on real life experiences. Now that the actual “cake” portion of the Cupfakes are done, it’s time to move onto the fun part. Not that spraying goo in paper cups and watching it explode in size isn’t fun. ‘Cause it is. 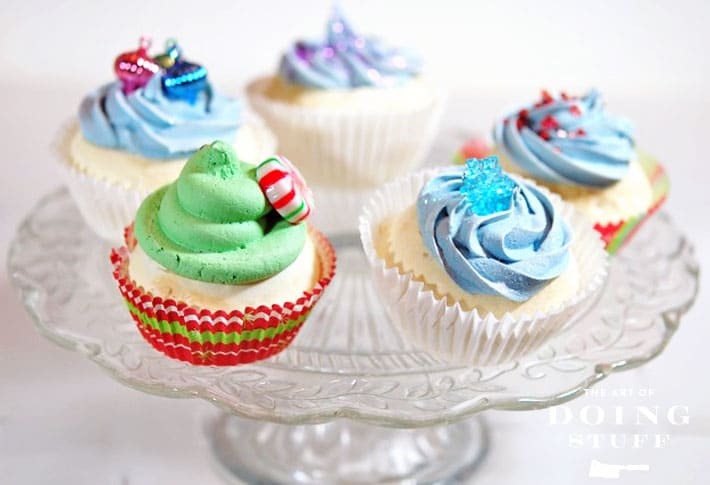 For decorating your Cupfakes you’re going to use a bucket of pre-mixed drywall compound coloured with acrylic paint. That’ll be the icing on the cake. On *top* of the icing you can put whatever decorative pieces you want. You can use sparkles, or beads or brightly coloured condoms. Whatever tickles your chin. Whatever you put on your cupcakes needs to be fake. Not real food items. 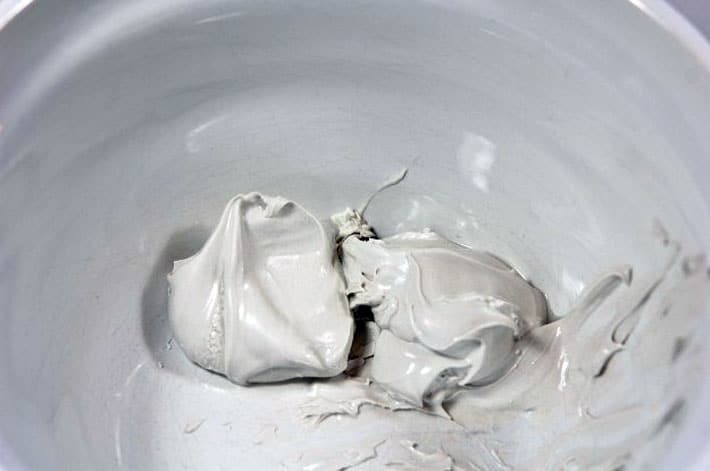 Spoon a glob of drywall compound into a mixing bowl. Add enough to fill a piping bag. Add a dollop of whatever colour paint you want. The drywall compound is greyish so unless you can find a white drywall compound you’ll never have a pure white icing. Work quickly now because the drywall compound’s sole purpose in life is to dry out when it hits the air. 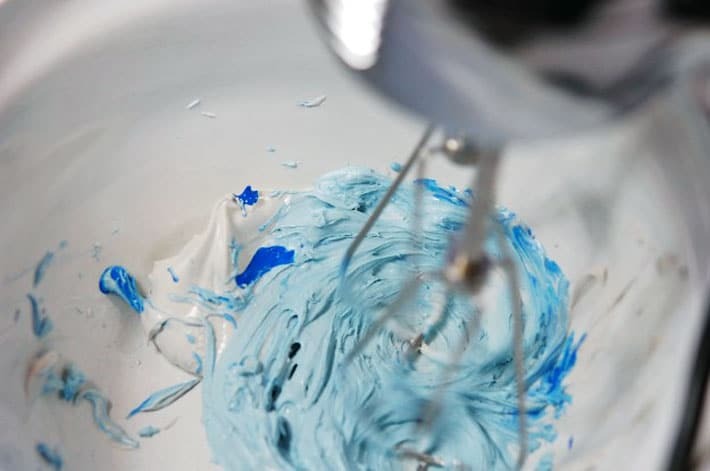 Whip up the tinted compound with a hand mixer. I feel the need to reiterate work quickly. There’s no time for stopping and staring blankly at your recently manicured and newly wrecked fingernails. No. Time. 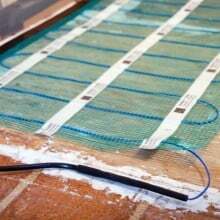 The drywall compound starts to dry out almost immediately and you need to get it into your piping bag quickly. 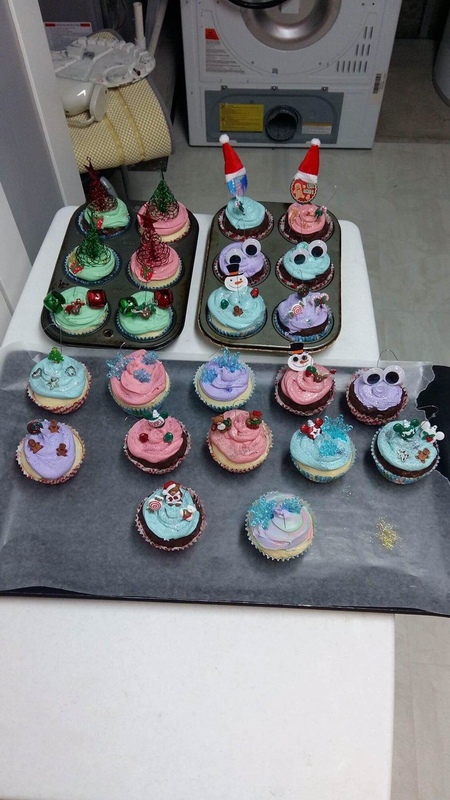 To make your life much easier, if you plan on making a variety of coloured icings, get a few extra tips and disposable piping bags and mix them all up in advance. 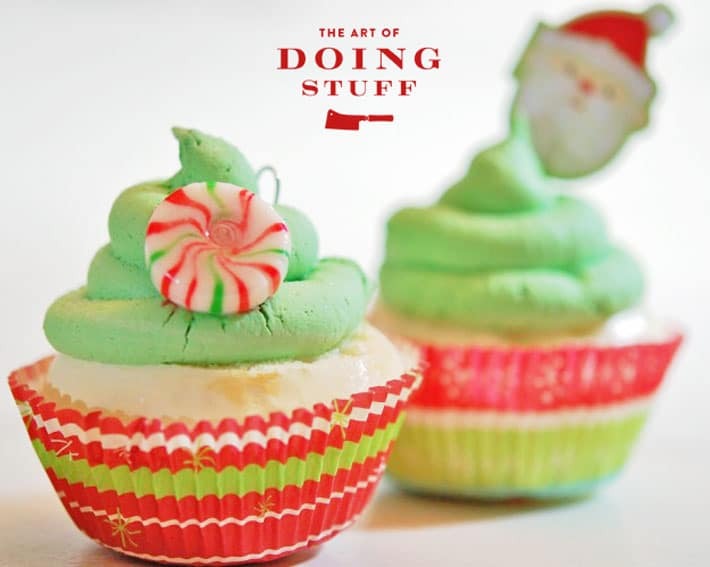 Once you have the drywall compound in the piping bag, it’ll stay fresh while you make the cupcakes. 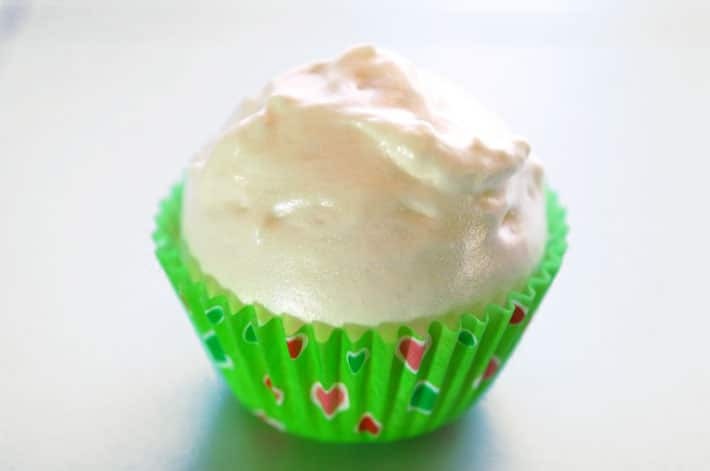 Once your piping bags are filled with your tinted drywall compound set your prepared Cupfake in front of you. Unless you plan on piping with your bum. In which case you should probably place the cupcake behind you. The drywall compound is a little softer than icing, but other than that it is remarkably similar. Pipe it onto the cupcake however you fancy. 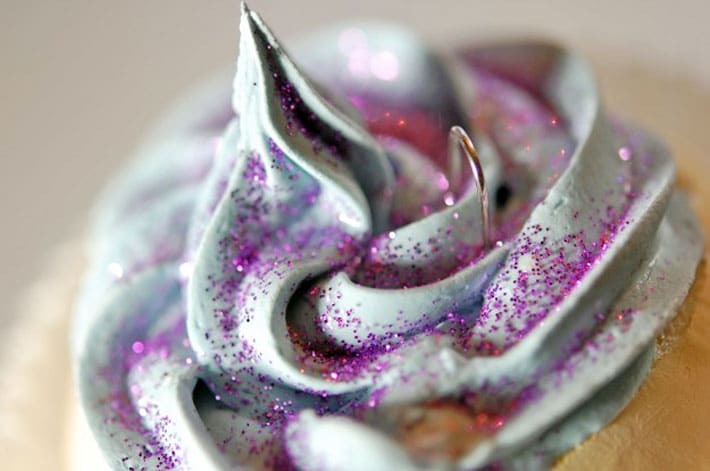 Once you’ve iced the cupcake and topped it with sparkles or whatever else you want, insert a paper clip into it so you have somewhere to hang a hook off of. The paper clip hangers are in there fairly snug. However, just to be safe, once they were dry I dropped a teensy bit of hot glue where the wire inserted into the cupcake. If you put the wire directly in the centre of the cupcake, it will hang perfectly straight from the tree. 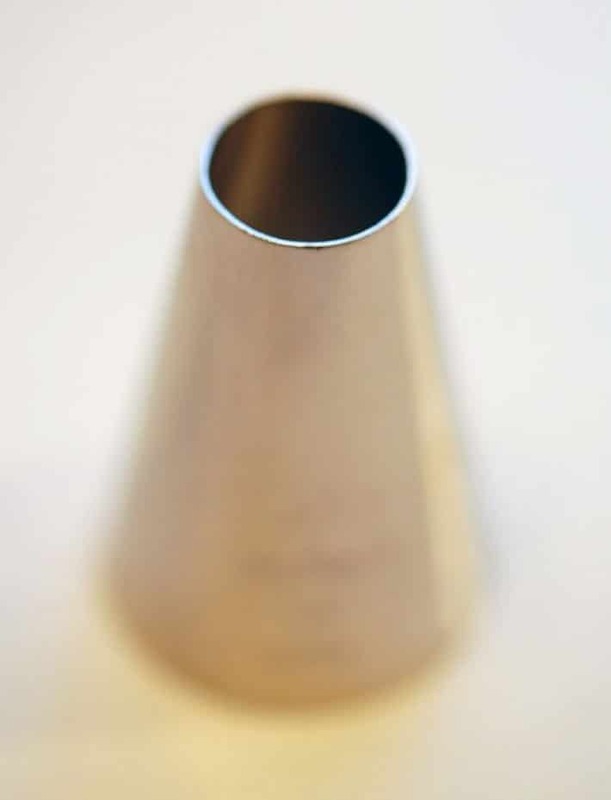 If you put it off to the side the Cupfake will hang at an angle. Doesn’t this look like soft serve ice cream? Which is how I most enjoy my ice cream. If I’d had more time I would have made black and white cupcakes. I might still make black and white cupcakes. Don’t wanna hang em from the Christmas Tree? ‘Cause you’re Jewish? Or Jehovah’s Witness? Or Muslim? Or you just don’t like Christmas trees? No problem. Put em on a cake plate. 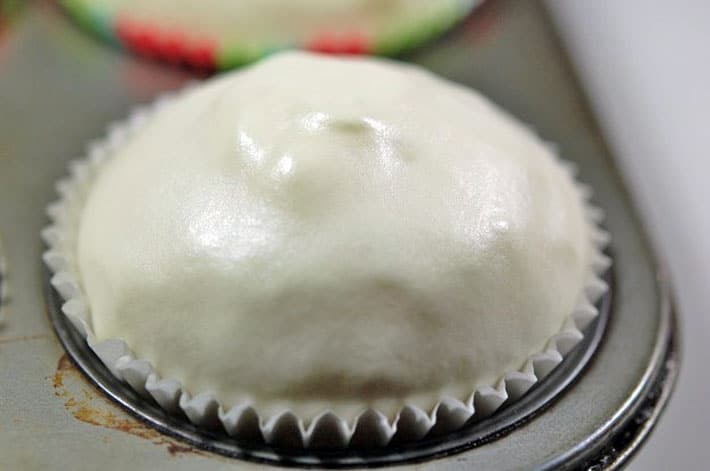 After you ice and decorate your cupcakes, sit them to the side (carefully) and let them dry for 2 days. Just ignore them. Sit them in the corner and pretend they don’t exist. Treat them like your spouse when they’ve wronged you. You can now hang them from a tree, put them on a plate or use them as a bow on a Christmas present. 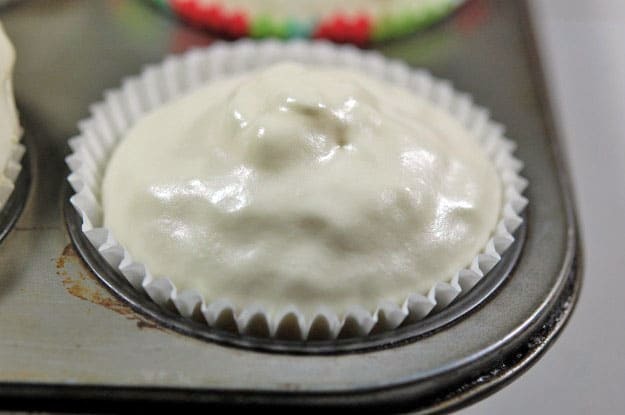 Oh … be prepared to make real cupcakes after you make your fake cupcakes. I can’t explain it, but for some reason you’ll have an uncontrollable craving. Cinnamon Apple Sauce Stink Moose. How to make scented ornaments. How cooooool!! I am so making these with the kids…I think I’ll do this part by myself. Unless of course the second step isn’t kid friendly either, than I’ll make them by myself 😀 I want to make them and put them in the china cabinet on the cake server. Too cute! Can’t wait to see them decorated! Oh wow… I am amazed at how cute this looks! Not that I’m surprised of course 😉 Can’t wait for part 2! Karen, you RAWK. I love fake food. I knit cupcakes. I knit sushi. I have crocheted cherry pie. Now I’m gonna make me some fake cupcakes. I’ve no idea what to do with them, as I’m planning on a white and crystal tree this year, but I’ll come up with something. Hopefully they have the expandable foam stuff in the UK. That’s probably exactly how I’m going to have to describe it. The hardware store guy and I have got this weird charades thing we do fairly regularly while I try to describe what it is I’m looking for and he tries to translate my American into English. He always gets a peculiar look on his face when I come in. He’s probably dreading the latest installment of charades. this is amazing. and making me wish that could actually have a tree to decorate this year. alas, travelling during the christmas season is making that impossible – on the list for next year! I think I’ve said it before, but I have to say it again — You are a GENIUS!!! Can you come up with more food themed christmas tree decorations? I just showed this to my husband and he said he wants the whole tree to be food decorations 🙂 Your next challenge! JULIERUSSO@GMAIL.COM I make Fake Gingerbread men from salt dough, use a skewer to prick face & buttons & bake them for a few minutes in the microwave. When hard paint them Gingerbread colour. I have a teeny little Gingerbread man cutter, too cute! Stick a ribbon on the back to hang them & voila! I just made these and they turned out SO cute. Super easy too. I appreciate the fact that you are willing to share the “real life experiences” with us. Some folks would just let us learn the hard way. You’re the best! Great idea for kids! Im going to make a bunch of these and let them decorate them and take them home…great idea Karen! Thanks! Curious: if you want to hang them from a tree, when would be the best time to insert a string?
! !Do not bake the cupfakes!! PS: perhaps you could do a little experiment for us viewers at home (in someone else’s oven if you’re smrt) and let us know what happens if you DO bake them? I’m curious. But not nearly curious enough to actually do it. I’m more curious to see if YOU would actually do it. Wow! Not even sure what I’m most impressed with — the painting, perhaps? Should I ever have a mind to make cupfakes, these’d be the ones for sure. Cute cute cute!! Can’t wait to see part deux! This is soooo cool. I was just toying with ideas for my yearly gift ornament, a traditon by family has come to know and dread. Can’t wait for the icing and decorating steps! Not to mention, one more thing you can do with spay foam! Heh. I become addicted during a house remodle, and my life has not been the same since. In a good way, of course. I am seriously going to make these! What an adorable idea for your own tree or even as a gift! Hi! I clicked over from…..someone’s site. Anyway, despite the fact that I would never attempt these because I have zero patience for two-part projects and waiting – these cupcakes are super cute (yes, I read part two first…) and reading your instructions is even better! I did the fake cupcakes as you described but they shrunked and wrinkled; any suggestion? Uh OH! I haven’t checked mine since Christmas. There are foams you can buy that are shrink resistant. I’m guessing you didn’t use one of those, LOL. If they’re shrunk and wrinkles, I don’t think there’s any reconstituting them. To prevent them from shrinking the next time, I’d shellac or lacquer them. Something that will coat them and prevent them from drying out and shrinking. 🙁 ~ karen! I, too, made them and had them shrink and shrivel badly after 36 hours! I tried again, making sure to use shrink-resistant faom, and the same thing happened. I called the company that makes the foam, and they said that since the paper liners were not a stable surface for the foam to cling to, it shrunk as it set. This isn’t really a comment about the cupcakes although they are looking very real. Can’t wait to see them decorated. I have a can of the foam stuff that I bought to plug up the hole in the bottom of a Bsmall outdoor fountain. The silver reflection ball and the water pump are broken but I thought it would make a cute bird bath. But I need to keep the water from draining out. Do you think the foam will work? Thanks for reading my question. Hi Patti! I actually have no idea if this would work or not for keeping out leaks! If I were doing this myself, I’d use marine silicone to do the job. It’s just cheap and you can get it at any hardware store. ~ karen! I just made mine last week….but I was sure to allow lots of time in between stages. As a matter of fact, some of mine shrank after painting them. With that in mind, I hope they don’t drink later….Ughh!! However, maybe it’s best to let each stage dry a night or two. Before starting the next. It really depends on the weather in where you are making them, I must add. From what Karen suggested, it took much longer for where I live. I guess all in all, a good preventive measure……Just a thought! Hi Claire – I just dragged my cupfakes out of the basement to see how they stood up over the past year. Perfect! No shrinking, no cracking, no weeping. ~ karen! thank you for sharing this….options are always GREAT, especially with different weather for each of us. Appreciate it! Help!! I used Great Stuff and it did just fine…at first… but now the bottoms have sucked in and they are not flat anymore!! I left them in the muffin tins while they cured thinking that was the correct thing to do. Any ideas what I have done wrong??? Karen, thanks for your fast reply! As for the bottoms, they look pretty bad. It would be obvious as I want to make ornaments out of them. I thought about just adding another liner over the first but the Great Stuff has really drawn up all over. I have them in an air-conditioned house(central VA area) so humidity is low. Just weird I guess..I will not give up!! I love your site, and the cupcakes esp. I am trying to make them and am having some difficulties I hope you can help me with. I made two pans to begin with, a total of 24. I left them for about 48 hours before removing them. Unfortunately, they seem to have kept expanding, out, not up! so they have pushed the side of the liners out. Also, the bottom of the liners are puckered. I really want to make these, so I hope you can tell me what I am doing wrong. Also, it is hard to get the liners to stay down in the pan like I would like. Thank you so much for any help you can give me. Thank you so much for this!! I have a cupcake theme kitchen and i have bought fake cupcakes to have as decor on my cupcake stands but now i can make my own!!! You are awesome! Hi Jessica! These ornaments end up being feather light. 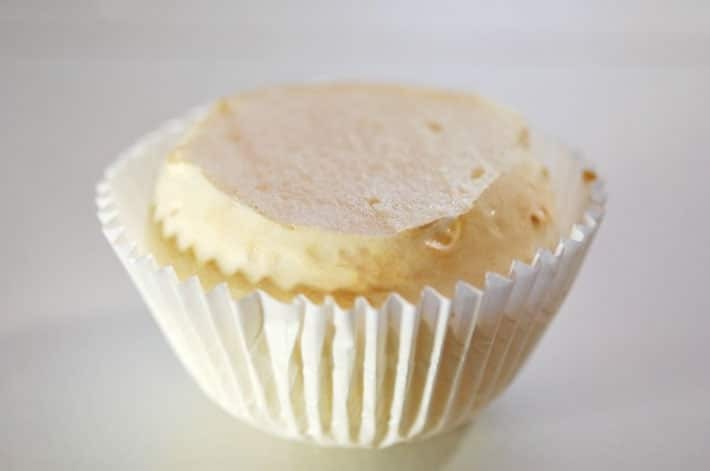 So light that I’ve suggested putting a little weight, like a heavy washer, into the bottom of the cupcake paper. They aren’t squishy, they cure fairly hard, but they aren’t heavy or hard like plastic. ~ karen! When made would they be safe for children to play with? I’m thinking not! Has anyone tried painting these later with acrylic paint not mixing with the drywall? Also I’ve seen bathroom caulk used as ‘icing’ Its already in a tube and is white. Not sure how heavy it is tho. I want to make these as a fun summer decoration project for my nieces. Paint them and glue on the ornaments. Good idea or too messy? any suggestions or advice is great! This is the cutest idea by the way! 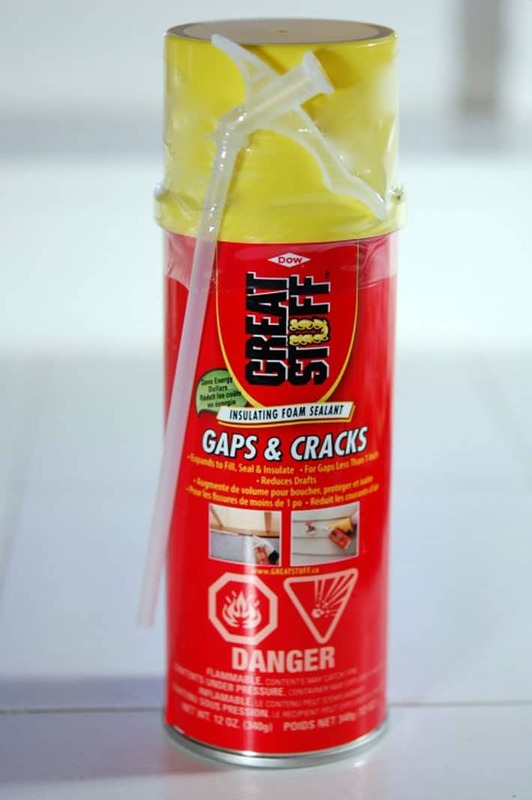 Hi – I love your idea of using spray foam to make cup”fakes”! I work for a company that makes spray foam and am trying to figure out if there is a place for spray foam in the arts & crafts market. How often do you use spray foam? Where do you go to buy it? Do you plan to use spray foam on any projects in the future? I would love to hear your feedback. Thank you! Thanks. I’ve spent this evening levelling and installing some of my bookcases Lisa, and I had no idea until just 2 minutes ago that Leonard Cohen died. He was 82, so I don’t know why I was shocked, but I was. 🙁 In honour of Leonard I have this from 1501 other Canadians. ~ karen! I never think of their age when I see them – and some of the people we have lost this year are so embedded in our souls that we never think of losing them. An amazing poet and artist. I love this version – new to me. We shall raise a glass. Ahh. Choir Choir Choir … such fun singing in a group. so sad to hear Leonard Cohen has passed away! The ideas that come to you are mind boggling, Karen. These cupfakes are awesome. The only downside is that my subconscious keeps trying to say the word over and over, fast…and keeps tripping over it. Too weird. Just wonderful!!!!! Would look cute stacked up like a tree with LEDs entwined – for a lighted decoration on top of the refrigerator. I found out the hard way about this foam and its’ permanent stickiness. I “closed up” a spider hole and used my bare fingers to smooth the rough edges. That was a mistake since the foam didn’t smooth out well and I got mad and used my whole hand. If I was Chevy Chase or Tom Hanks in some funny movie I would have gotten paid. But more like Lucille Ball, I walked around with a hardened “mitt” trying to pull my fingers apart! Just getting the mitt off took a knife to cut my fingers apart and it was scary! PAY ATTENTION WHEN KAREN SAYS USE GLOVES and I would add DO NOT UNDER ANY CIRCUMSTANCES TOUCH IT UNTIL IT IS DRY! It works well to plug spider holes and I know it will make awesome cupfakes! As a complete aside to the cupcakes , the day after your biscotti search we received a whole display ! Too much. Sooooo cute, like their maker, I might add. If the paperclip is inserted in the bottom underside, or bum, then one could run ribbon through it to tie around a gift and make a gorgeous bow with the wee cake nestled in the loops. Oh, I also meant to thank you for the Hallelujah youtube link, it’s just lovely. My all time favourite is k. d. lang’s version just wailin’ away! Rest in peace, Leonard. Another Great Stuff tip: Don’t let your spouse/partner/self leave the can sitting on the edge of the dryer up against a box so when you later need to reach above the dryer to get some mac & cheese from a high shelf it depresses the button and sprays into the pocket of your hoodie. I heard from a friend that my… err… her sweatshirt is still crunchy years later. This reminds me of those elaborate Decoden cases people make. They use silicone caulk. Had to google Decoden. O. M. G. I had no idea this was a thing. PERFECT! Now that my sons are adults and married (no grandchildren, and don’t say “yet” cuz it ain’t gonna happen. Stopped wishing years ago), we have done away with the gift exchange–the first year my youngest son was married (got two teenage step-grandsons in the deal), the gifts under the tree were, well, quite disgusting. Really? THAT many gifts? Not enough room for all of us to be in the same room as the tree! Had to cut down, so now that we are all well into adulthood, we exchange holiday ornaments–preferably hand made. Yes. PERFECT! 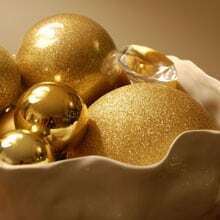 I’ve been all over Pinterest looking for that perfect ornament that will wow the boyss and dils. This is it. THANK YOU so much, Karen! Going shopping today for sure. 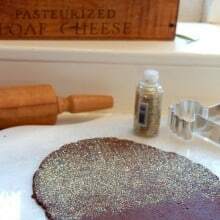 I will never make these because I would end up with caulking compund on the ceiling and Great Stuff up both nostrils… but, dang, girl… I will be reading your directions three more times, and bookmarking this page AND forwarding it to my friends because your writing is phenomenal and down to earth and TRUE! Thinking about it…you remind me of the author, Sir Terry Pratchett, who was wickedly funny in the very best way. Please…keep writing this blog. I need it. 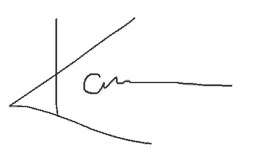 I know how to spell compound…really. Well thanks Susan, lol. And this wasn’t even one of my better blog posts. I don’t think. Maybe it was! I’ll have to go reread it now, lol. ~ karen! I forwarded this to my niece who has a cupcake shop in Burlington. She loves the idea, but can’t do it this year as she is starting into full gear already for Xmas …. 30 gingerbread houses on the agenda. Would love to do these for our tree in the shop. Kids would probably bite and lick them but who hasn’t put something weird in their mouth at one time our another? Plus it’s fun to see how parents handle stuff like that – there are so few perks to dealing with the public. OMG, I love her reply as well!!! Love it! I’ll have to go searching for Burlington cupcake shops. 🙂 ~ karen! hey, I’ll give them a plug …. just search in FaceBook …. LA Cupcake Boutique. They do incredible specialty cakes as well, they are fondant wizards ….. and the taste is amazing!!! Give them a visit! They do corporate events too!! I wanted to tell you my 4 year old and made these this past weekend and you aren’t kidding when you said the Great Stuff expands. It does. Really really big which was great fun for the 4 year old. Ours aren’t nearly as cute as yours but they are huge and really sparkly and we had a ball making them! Thanks for the awesome idea! I made some of your cupfakes. My daughter-in-law and I had a blast. Thanks for the helpful tips. They will make great gifts! They look great MelissaSue! I’m so glad you made them. 🙂 ~ karen!